Please specify your location in your topic description. Alexshire is a small shire in eastern Elysia. 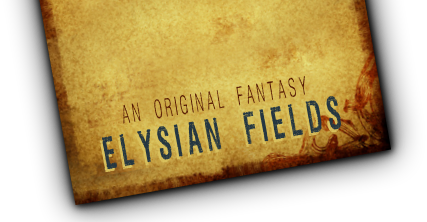 It is 300 square miles of farmland sprawled across the River Cora and surrounding Alexandria, the trade capital of Elysia and the heart of the portal nexus. The city is the largest and wealthiest settlement in the realm and a melting pot of Elysian cultures. The shire also encompasses a few small hamlets and villages, including Little Eden and Treehill, so it is a great place to start when you are a new member. The Ao coastline extends all the way from the western tip of the Scorpion Desert to the Bay of Wolves in the east. The Nubian Delta is an expanse of marsh and farmland that spreads across the delta basin of the River Espira before spilling into the Ao Sea.